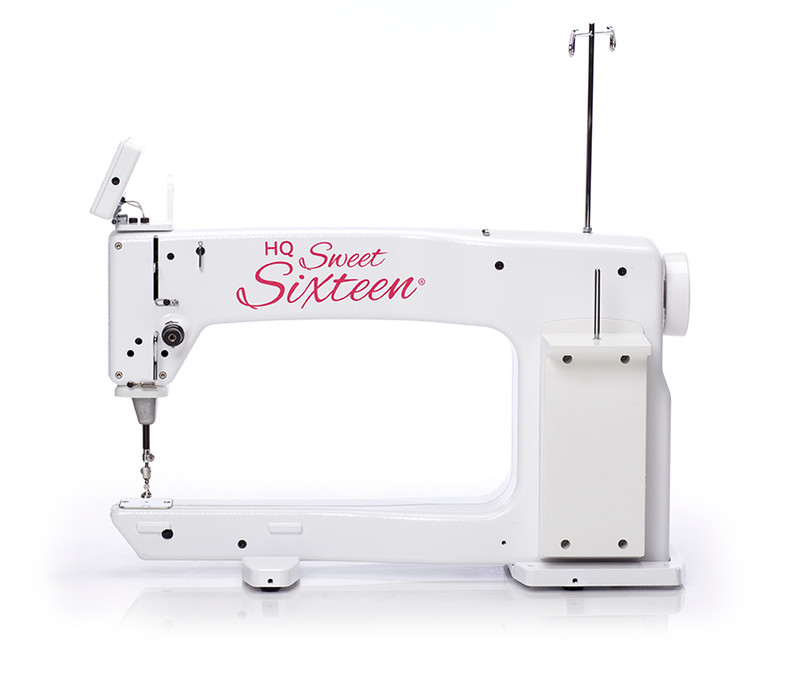 HQ Sweet Sixteen is the best selling sit-down longarm machine on the market. Discover the freedom of free-motion quilting with the most technologically advanced machine perfect for quilter’s to tackle projects of all sizes. 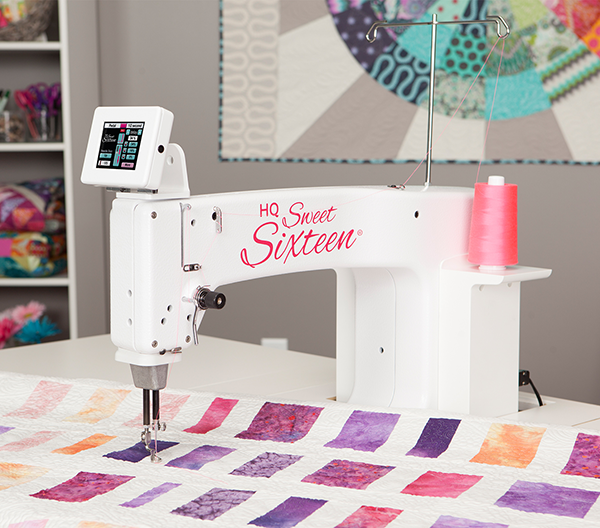 The HQ Sweet Sixteen is simply the best way for quilters to tackle projects with a sit-down machine. If you love to free-motion quilt but you struggle to complete your designs on your domestic machine, this machine is your solution. 16 inch of throat space give you plenty of room to work in and the smooth surface of the included table allows your projects to glide easily under the needle. With the introduction of TruStitch, quilters are now able to create quilt designs with beautifully even stitches. More than three times the quilting space of domestic sewing machines. Handi Feet mount with quarter-inch ruler foot installed and open toe foot. Bought my HQSweet 16 sit down quilting machine 6 years ago, still enjoying the flexibility of moving the quilt about and all the wonderfull free motion patterns done on each quilt. Have done over 12 million stitches, that is a lot of quilts. This sit down quilting machine takes up same space as a sewing machine in a cabinet. Had been quilting on a domestic sewing machine and when HQ brought out a sit down long arm this was something that would make my quilting easier, more throat space and being able to move the quilt around easier. Lots of pleasurable fun and great quilting therapy.